This is a brand new, reproduction print of a 1965 Dear Brigitte Style a poster. The paper size is approximately 27 x 40 Inches - 69cm x 102cm. 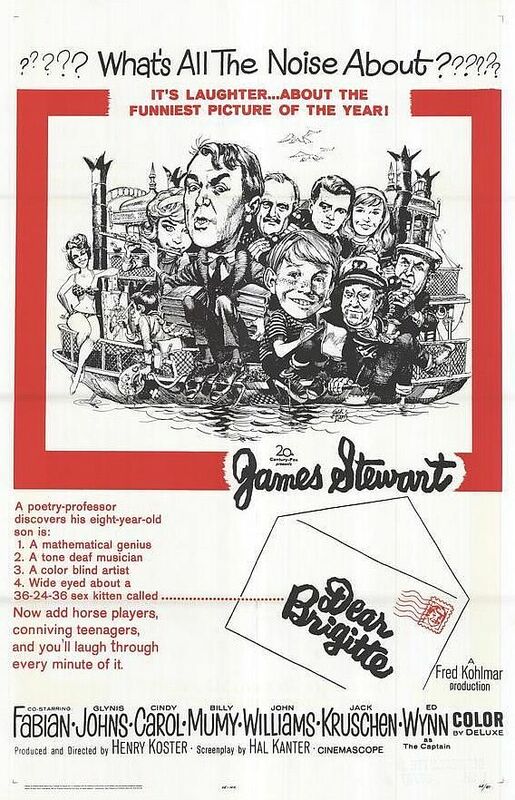 CAST: James Stewart, Billy Mumy, Glynis Johns, Fabian, Cindy Carol, John Williams, Jack Kruschen, Brigitte Bardot, Ed Wynn, Alice Pearce; DIRECTED BY: Henry Koster; PRODUCER: 20th Century-Fox.